This wouldn’t be much of a disclosure blog if I didn’t go into the topic of Earthing or Grounding. Now since we all know that mostly all electronic devices have to have a ground of some sort, we should connect the dots to the fact that we are also electronic. We are bio-electrical beings. Our brain impulses are delivered to their respective locations via electricity and our hearts have three built-in pacemakers (a primary one and two back up ones in case the preceding one fails). So, shouldn’t we be grounded? You’re damn right. You see, an amazing thing happens when you connect yourself to the Earth. Any skin to Earth contact will do. There are over 5000 lightning strikes hitting the Earth at any given time in various places on its surface. These strikes flood the Earth with free electrons. When your bare skin makes contact with the ground and your body starts to take in all these free electrons. These free electrons go in to where they’re needed and cancel out free radicals. Free radicals are released when the body realizes an injury has occurred. They attack the local infection to prevent anything sinister from getting into the blood stream. However some of these free radicals keep on attacking and that’s when inflammation takes place. These free electrons go in an cancel out the free radicals. Effectively stopping the inflammation. The result is quicker healing, a marked improvement in blood flow (great for diabetics with leg sores) and a reset of our bodies to match the Earth’s innate frequency (The Shumann Resonance of 7.83 Hz). Scientific study after scientific study proves that grounding ourselves reduces inflammation. Now apparently inflammation has been a medical mystery up until now. Doctors of our time (in the West anyway) couldn’t figure out why so many people have this inflammation going on. When we look at this chart we can see the direct correlation between the time when we started utilizing rubber soled shoes, spending less time outside and the rise of instances of diabetes. Now our rise in diabetes could also be a combination of not being grounded and the S.A.D. (standard American diet) which we know (and I know first hand having had to stick countless patients for blood sugar tests) is quite terrible on the body. 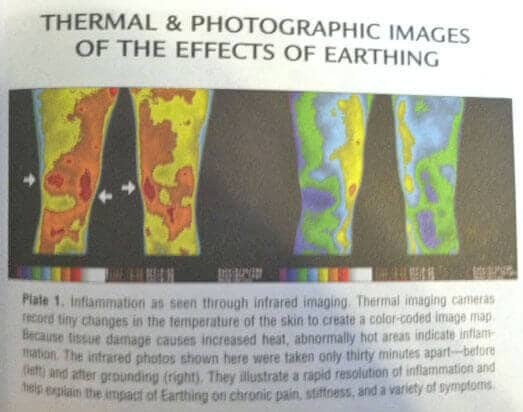 This is a thermal imaging picture of a person who agreed to undergo scientific testing with regards to Earthing. This person was grounded for only 30 minutes. Have I made my case yet? 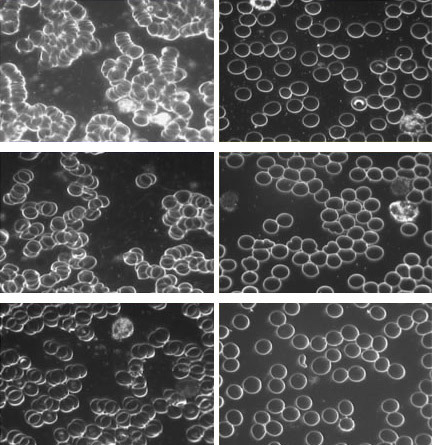 This is an image of someone’s blood before and after Earthing, for only 45 minutes. Here is the book that has pages and pages of scientific data and testimony proving that Earthing is the forgotten basic need of our bodies. It is as basic as breathing. We need to be connected with our Mother Earth and she us. We don’t do well without her. Much love to you all. =D Have a great day.